Springtime in Texas brings evenings that are calm and beautiful. When paired with a Texas wine, that evening becomes spectacular. The Annual Granbury Wine Walk is your chance to sip wine, while enjoying lovely Granbury—all for a great cause. 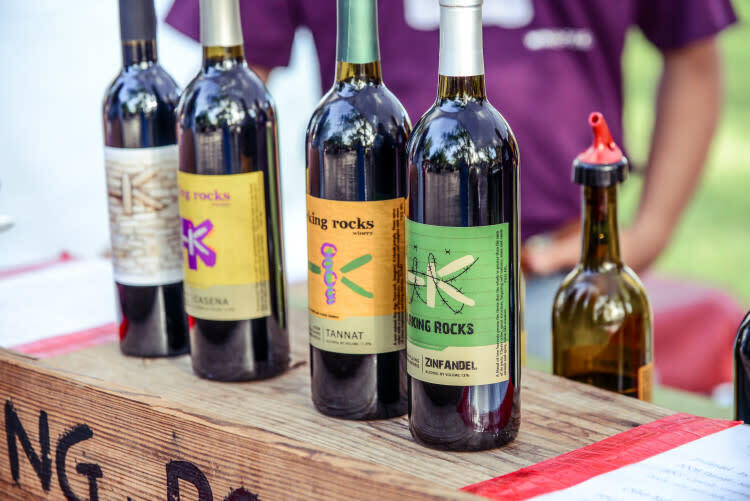 The Wine Walk has grown into one of the great wine events in Texas, and will feature more than twenty different wineries. Thousands of dollars will be raised and donated to Granbury area charities. 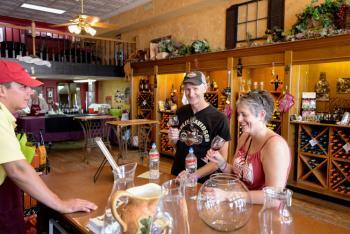 The Wine Walk takes place on historic Granbury Square. Fifteen wineries will have booths set up, where you can sample their offerings. You will be able to stroll the Historic Granbury Town Square with a glass of your favorite wine in hand, nibbling on your favorite foods. You can also purchase world-class art—all while listening to live music. Tickets can be purchased here, starting at $25. 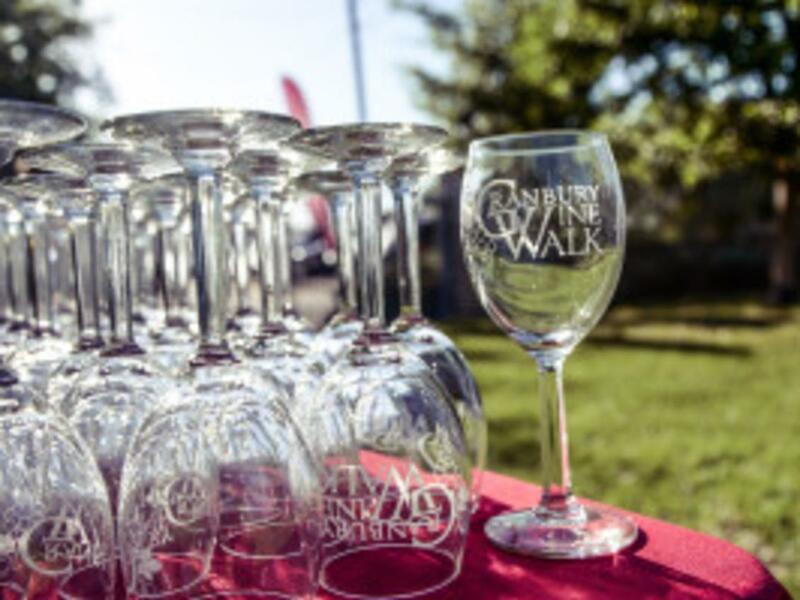 By enjoying the Wine Walk, you will be supporting some great local charities and scholarship programs! The Boys and Girls Club of Hood County, Tarleton State, the Granbury Arts Alliance, and Mission Granbury are just some of the beneficiariesof the funds generated from the event. Last year, the Wine Walk raised more than $40,000 for local charities! Cheers to that! The weekend kicks off with a VIP Sip and Savor event. The Sip and Savor event features hors d’oeuvres and live jazz music under the stars, at a gorgeous private estate overlooking Lake Granbury. Patrons will enjoy both classic and contemporary cuisine pairings with Texas wines, featuring dishes from North Texas’ most talented chefs. A VIP reservation includes a ticket to the Wine Walk on Friday and Saturday. Some of the featured chefs at the VIP event include Jon Bonnell, Megan Potts, Eric Hunter, and Kevin Martinez. Tickets for the VIP event are $125, and can be purchased here. Local participating wineries include Barking Rocks Vineyard and Winery, D’Vine Winery, Pemberton Cellars, and Bluff Dale Vineyard. In all, the Wine Walk has more than twenty participating wineries participating this year. Great food is not just happening at the VIP event. The square will have some excellent food vendors all weekend long! Everything from kettle corn, BBQ, fine cheeses, baked sweets, and more will be available. A full list is here. A number or artists will have their work on display during the Wine Walk. Part of the fun is getting to see all the cool art available at this impressive show. You may find something unique and fabulous for your home or office. Here is a list of artists participating at the event. If you are in the mood for some additional dining choices, downtown Granbury has a lot of great options for different budgets and tastes! Farina’s Winery and Café is right on the square, and features an expansive menu ranging from artisan cheese plates, soups, salads, sandwiches, pizzas, pastas and steaks. Enjoy your wine and meal on their beautiful patio. Another option is Eighteen Ninety Grille and Lounge. Eighteen Ninety blends local history and flavors to create a unique experience in a polished, yet casual dining atmosphere. There are many more dining options to choose from in Granbury, take a look at the full list here. While you are in Granbury, you will certainly want to make a weekend out of it! Granbury has many great places to stay. If you want to be within walking distance of the square, there are a few places that are very convenient. The Nutt House Hotel is right on the square, and features tasteful and historic décor. The Inn on Lake Granbury is just a few blocks from the square. As the name implies, it is right on Lake Granbury and offers gorgeous lake views and delightful amenities. The Hilton Garden Inn is a short walk from the square, and is situated right next to City Beach Park. It is a full service hotel with more than 100 rooms. It is great for large groups coming to the Wine Walk together. A full list of hotels and B&Bs can be found here. A complimentary Wine Walk shuttle with transport you from local hotels to the historic square Friday and Saturday of the event. We hope you have a great time at the Wine Walk! 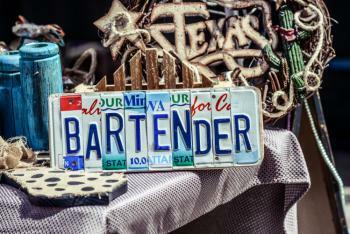 When you come, be sure to tag us on social media with #texaswinewalk!